Randy Sieberg, CIC, ARM, CRM is the founder and principal consultant of Workers Compensation Consultants, a nationally recognized independent workers compensation consulting firm based in Columbia, Missouri. His firm provides fee-based professional consulting services, expert witness and litigation services and assists employers, insurance agents and brokers experiencing problems with workers compensation premium, audits, classification code, claim, experience rating and other premium generating issues. He consults with clients throughout a broad range of industries including attorneys, insurance companies, insurance agencies, agents, brokers, contractors, service providers, transportation, manufacturers, retail and wholesale operations. He began his career in the insurance industry as a business insurance specialist in 1981. As Senior Commercial Lines Consultant for Mid-America Specialty Markets, an Estal Insurance and Financial Services Company, he continues to direct the commercial insurance team in client risk analysis and product placement. As a licensed commercial insurance producer and independent agency principal he specialized in commercial property and casualty insurance, workers compensation and risk management programs. His expertise encompasses all areas of property and casualty risk management including risk analysis, program design and implementation, commercial insurance coverage analysis and pricing for commercial clients. As the principal consultant for Workers Compensation Consultants Randy directs activities, provides support and assigns expert witness and litigation support duties to other expert advisers on staff. 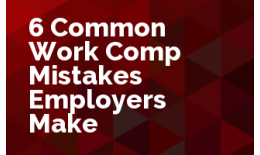 The firm's highly ranked website, WorkCompConsultant.com and blog is recognized as a valuable source of information for employers, agents and brokers while providing useful, in the trenches, real life help about commercial insurance and workers compensation premium related issues for all readers. Randy received the Certified Insurance Counselor (CIC) designation conferred from the National Alliance for Insurance Education and Research in 1989, the Associate in Risk Management (ARM) designation from the Insurance Institute of America in 1986 and the Certified Risk Manager (CRM) designation from the National Academy in 1994. He maintains annual industry educational updates and participates in annual continuing education seminars. He is on staff as a teaching presenter with the Academy of Insurance. He speaks on a variety of insurance and workers compensation related topics. His presentations include: "Workers Compensation -An Employers Point of View" -"Today's Workers Compensation Issues -Their Effect on the Human Resource Manager's Job" and "Real Solutions for Managing Workers Compensation Cost." His publications include "Most Common Workers Compensation Mistakes Employers Make" -published by the Courier Magazine. He has been interviewed and quoted by Eric Krell in his article "How to Avoid Workers Comp Premium Overpayments" published for the Society for Human Resource Management. His insurance related articles have been presented in a variety of association, employer and insurance related publications. Randy continues to face the challenges presented by our industry and looks forward to assisting new and established agents and brokers unravel complicated insurance problems. As evidenced by his stable insurance industry work history and continued professional growth, Randy provides a professional guidance and knowledge base for those clients seeking assistance and support with issues found within his areas of expertise. Workers compensation policies are often the most expensive insurance product an employer may buy. This dynamic insurance product continues to cause employer and insurance agent challenges at every turn. While simple in appearance these policies are often inaccurate in detail.